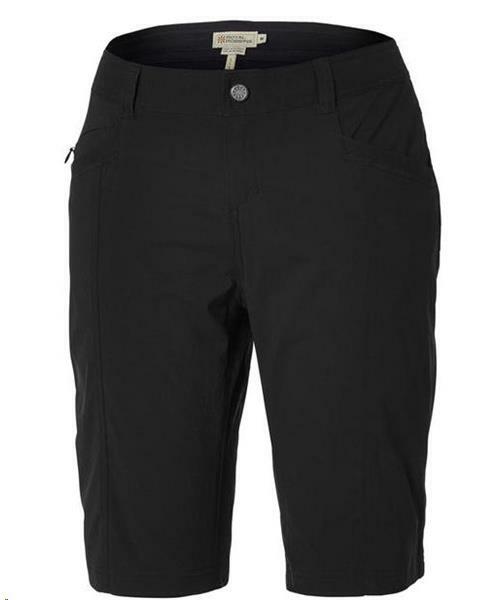 The Discovery Bermuda is a go-to pair of women's shorts for outdoor activity and travel. The Discovery stretch nylon fabric has wrinkle resistance and UPF 50+ protection. These lightweight, quick dry shorts perform on the trail, with a longer inseam perfect for urban travel. Made with eco-conscious bluesign® Approved fabric.